Francesco Bracali's pigeon recipe is reminiscent of the scent of the Tuscan hills, with a fragrant blend of rosemary, thyme, lemon and garlic. 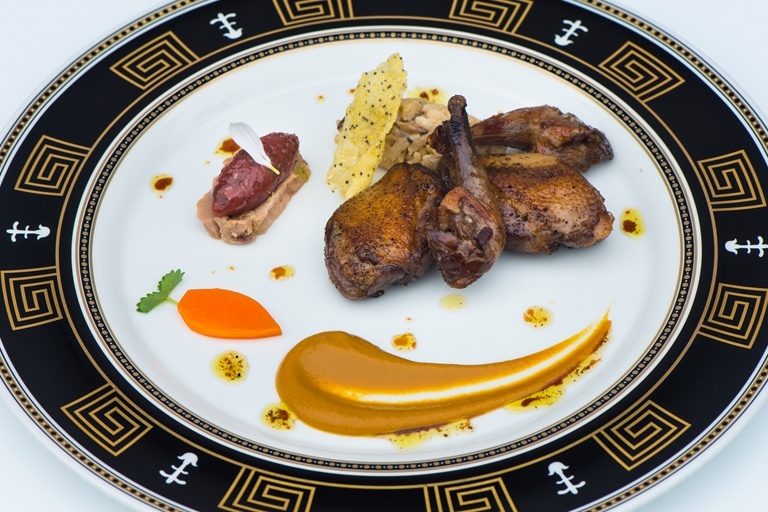 Cooking the pigeon legs and breasts in different ways ensures the meat achieves the skin yet remains perfectly tender, while the addition of mushroom risotto, poached foie gras, and carrot and chocolate sauce to the finished dish adds extra dimensions of flavour and texture. From eating bread and ragù as a child to running a two-starred restaurant in Tuscany, Francesco Bracali has stayed true to the area's local flavours and has helped bolster the region's already famous foodie credentials.